Henderson State University will present the annual Carol of Lights holiday program on Monday, Dec. 3. The sidewalks of the south lawn will be lined with hundreds of luminaries, creating a beautiful seasonal scene, and a variety of musical groups will perform. “This year’s presentation will feature new programming of structure and talent, while keeping many of the traditions of the annual event,” said Dr. Bill Higgins, music department chair. “A variety of Henderson student ensembles and community groups will present festive music and dance for the holiday season. The festivities will begin at 5:45 p.m. with Opera Workshop carolers performing on the front steps of Arkansas Hall, followed by students from the Davis-Baker Preschool Choir. At 6 p.m., herald trumpets will mark the beginning of the program inside Arkansas Hall, and a flute choir will perform in the lobby as guests make their way into the auditorium. The program includes performances by the Horn Choir/Tuba Choir, Henderson Dance Company, Clarinet Choir, NuFusion Jazz Ensemble, Opera Workshop, Angelic Voices of Christ, Perritt Primary School Nickelodeon Choir, and the Ouachita Honor Choir. 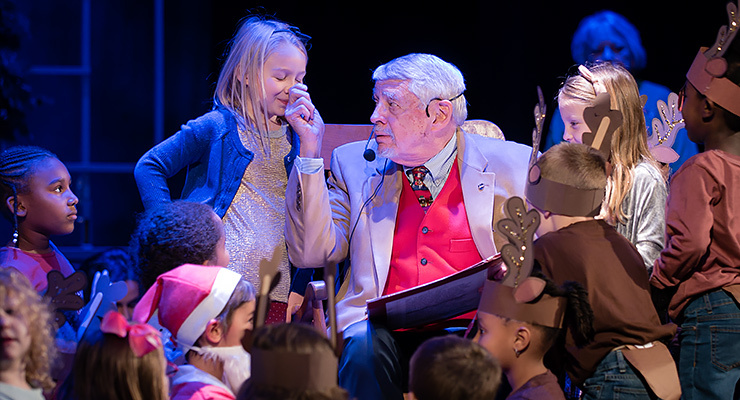 Dr. David Thompson will recite “The Night Before Christmas” with children invited to join him on stage.